(Salisbury, N.C. - October 27, 2009) - This is the text of District Attorney Bill Kenerly's statement saying that no criminal charges would be filed against Officer Preston Gene Houpe in the shooting death of Christopher Dupree Kluttz. "At approximately 4:30 a.m. on February 6, 2009, Christopher Dupree Kluttz died at his residence as the result of multiple gunshot wounds to the chest and abdomen. On duty Spencer Police Officer Preston Gene Houpe fired the fatal shots. The Spencer Police Department and the District Attorney's office requested that the State Bureau of Investigation investigate Mr. Kluttz's death. I have reviewed the S.B.I. investigation and have concluded the evidence indicates that Officer Houpe did not violate the criminal law as it relates to the use of deadly force. "Christopher Dupree Kluttz was a former Spencer Police Officer and a disabled veteran of Desert Storm. He lived alone at his residence in Spencer. During the early morning of February 6, 2009, Mr. Kluttz called the National Suicide Hotline, where the call taker noted that he was apparently intoxicated. At 1:55 a.m. the Veterans Administration telephoned Rowan County Communications and requested that the Spencer Police Department contact Mr. Kluttz at his residence in Spencer to investigate his welfare. "Officer Preston Gene Houpe was the patrol officer on duty when the Veterans Administration request was received by the Spencer Police Department. Officer Houpe responded to Mr. Kluttz's residence at approximately 2:03 a.m. He entered the residence and spoke with Mr. Kluttz. Officer Houpe assessed Mr. Kluttz to be safe and left the residence at approximately 2:37 a.m. At that time Officer Houpe returned to his regularly assigned duties. "In the course of his patrol duties Officer Houpe drove his marked Spencer Police vehicle past Mr. Kluttz's residence again at approximately 4:00 a.m. Officer Houpe stated that, as he approached the Kluttz residence in his vehicle, he saw Mr. Kluttz on the front porch of his house. Mr. Kluttz was cursing and speaking loudly, and Officer Houpe told him to "calm down". Officer Houpe followed Mr. Kluttz into the residence as Mr. Kluttz continued to curse. Inside the residence Officer Houpe talked with Mr. Kluttz, at one point suggesting that Mr. Kluttz place a telephone call to a friend. About 4:28 a.m. Mr. Kluttz placed this call. During the telephone conversation the friend heard Mr. Kluttz tell Officer Houpe to get out of his house. Mr. Kluttz then gave the telephone to Officer Houpe, who told the friend to call Mr. Kluttz's parents. The friend called Mr. Kluttz's father at approximately 4:30 a.m. and informed him of the situation. His father left his residence in route to the residence of Christopher Kluttz. "While still in Mr. Kluttz's residence and before Mr. Kluttz's father arrived, Officer Houpe called for "routine" backup. This request was made in response to Mr. Kluttz's belligerent comments, including a threat to shoot the Officer. Officer Houpe relates that, at this point, Mr. Kluttz entered the kitchen of his residence, was heard to open a drawer, and returned armed with a butcher-type knife. Officer Houpe requested "urgent" backup, and during this call Officer Houpe can be heard to shout, "Drop the É" (inaudible, possibly "gun"). As Mr. Kluttz threatened Officer Houpe and approached him with the knife, Officer Houpe fired three shots, fatally injuring Christopher Dupree Kluttz. During an additional request for "urgent" assistance Officer Houpe can be heard telling Mr. Kluttz to "stay down". Officers of the Salisbury and Spencer Police Departments, Rowan County Deputies, and Emergency Medical personnel responded immediately and found Officer Houpe in the residence, and Mr. Kluttz deceased. "Christopher Dupree Kluttz was found lying in the doorway that connects the dining room to the kitchen of his residence. A large chrome-bladed knife with a black plastic handle was lying on the dining room floor about four feet from Mr. Kluttz. Three .40 caliber cartridge casings were found in the dining room, and three .40 caliber bullets were recovered from Mr. Kluttz's body. The casings were fired in Officer Houpe's issue weapon; however, the recovered bullets were too distorted for a conclusive match to his pistol. A kitchen drawer and the chrome-bladed knife were examined for latent fingerprints; however, there were no identifiable latent prints noted or developed on either item. The medical examiner did not find either gun powder soot or stippling in connection with Mr. Kluttz's wounds. "The death of Christopher Dupree Kluttz, a former police officer and veteran, is particularly unsettling and unfortunate. However, after reviewing this very thorough investigation, I have determined that no criminal charges will be filed against Officer Preston Gene Houpe for the shooting death of Christopher Dupree Kluttz." Another Gulf War Veteran Dead: "He Was Sick When he Came Home from Kuwait"
Written by Bill Bell, Whittier Daily News. (Whittier, Calif. - October 23, 2009) - Those closest to him called him "Skeeter." A strapping, healthy 6-foot water polo player in high school, Clinton Marvin Hammitt Jr. enlisted in the U.S. Marine Corps right after graduating from Pioneer High School in 1987. In 1990, Skeeter was deployed to the Gulf War, called Desert Storm, and was discharged in 1991. Hammitt worked his way up from a restaurant job at the former El Patio on Greenleaf Avenue to becoming the owner of Steel Press Printing, which did most of the printing for the city of Whittier and its Police Department, said his sister, Renee Hammitt Mendoza. Then on Aug. 20, he died at the age of 40. "He was sick when he came home from Kuwait," said Renee, one of his five older sisters. Even now, there is no definite diagnosis of the cause of his death, said Renee. She said Veterans Hospital doctors worked on his blood disorder over the years and kept Hammitt and his family advised of their progress on a weekly basis. The most recent information was that Hammitt's disorder most likely was something called TTP (thrombolic thrombocytopenic purpura), a blood disorder that could be related to parasites, oil well fires or nerve gas, but possibly could also be unrelated. "Skeeter was handsome, funny, had a million friends and turned out to be an outstanding businessman," Renee said. Hammitt was born Feb. 27, 1969, in Montebello to Clinton Marvin Sr. and Helen Hammitt. The family moved to the unincorporated west side of Whittier where Skeeter attended Phelan Elementary school and Katherine Edwards middle school prior to Pioneer High. He was cremated and interred with military honors at Riverside National Cemetery. Besides his parents and sister, Renee, he also leaves a 7-year-old son, and his other sisters, Joy Hammitt of Cedar Creek, Utah, Lynne Nay of Los Angeles, Denise Hammitt of Wilmington and Julie Arredondo, and 12 nieces and nephews. Editor's Note: Fibromyalgia, a condition characterised by chronic widespread pain common in Gulf War veterans, is one of three presumptive conditions for VA service-connection for veterans of the 1991 Gulf War. The other two are Irritable Bowel Syndrome (IBS) and Chronic Fatigue Syndrome (CFS). (New York and San Diego - October 17, 2009) - Forest Laboratories, Inc. (NYSE: FRX) and Cypress Bioscience, Inc. (NASDAQ: CYPB) today announced that Savella® (milnacipran HCI) 100 mg/day (50 mg twice daily) demonstrated statistically significant and clinically meaningful concurrent improvements in pain, patient global assessment, and physical function, according to results from a large-scale, Phase III clinical trial that will be presented on Tuesday, October 20, 2009, at the American College of Rheumatology Annual Meeting in Philadelphia, PA. 100 mg/day is the recommended dose of Savella. Savella is a selective serotonin and norepinephrine dual reuptake inhibitor (SNRI) that was approved by the U.S. Food and Drug Administration (FDA) earlier this year for the management of fibromyalgia. Fibromyalgia is a chronic condition characterized by widespread pain and decreased physical function, afflicting as many as six million people in the United States. The study showed statistically significant and clinically meaningful concurrent improvements in pain, patient global assessment, and physical function, among patients receiving Savella treatment of 100 mg/day, as compared to a placebo treatment group, when measured by patient-reported outcomes assessed in composite responder analyses. These results at the 100 mg/day dose are consistent with those of previous clinical trials that have demonstrated the safety and efficacy of Savella at doses of 100 mg/day and 200 mg/day. "Fibromyalgia is a common, chronic pain disorder that can be associated with an array of debilitating symptoms, so it is important that treatments manage the multiple symptoms of fibromyalgia and improve function," said lead investigator, Lesley M. Arnold, MD, Professor of Psychiatry, University of Cincinnati College of Medicine. This Phase III, double-blind, placebo-controlled trial of 1,025 fibromyalgia patients was designed to further evaluate the efficacy and tolerability of Savella 100 mg/day. Patients were randomized to receive Savella 100 mg/day (n=516) or placebo (n=509) and underwent four to six weeks of flexible dose escalation, followed by 12 weeks of stable-dose treatment followed by a two-week randomized, double-blind discontinuation phase. This study, like other phase III fibromyalgia studies of Savella used a composite responder analysis as the primary endpoint. This endpoint required individual patients to demonstrate concurrent and clinically meaningful improvements in multiple domains using validated measures, including pain (visual analog scale), patient global assessment (patient global impression of change), and physical function (Short Form-36 Physical Component Summary). In this study a greater proportion of patients in the Savella treatment arm (100 mg/day) as compared with placebo treatment, at 3 months, experienced at least a 30% reduction in pain from baseline and also rated themselves as "very much improved" or "much improved" based on the patient global assessment. In addition, a greater proportion of patients treated with Savella as compared with placebo treatment met the criteria for a treatment response as measured by concurrent improvements in pain, patient global assessment, and physical function. Some patients who rated themselves as globally "much" or "very much" improved experienced a decrease in pain as early as week 1 of treatment with a stable dose of Savella that persisted throughout the study. Savella was generally well tolerated in the study. The most common treatment emergent adverse events observed during the placebo-controlled trial included nausea, headache, constipation, hot flush, dizziness, insomnia, hyperhidrosis, palpitations, fatigue, tachycardia, and hypertension. The majority of adverse reactions reported were mild to moderate in nature. Savella was approved by the FDA on January 14, 2009, for the management of fibromyalgia, a chronic condition characterized by widespread pain and decreased physical function that afflicts as many as six million people in the United States. Savella is a dual-reuptake inhibitor that, in vitro, preferentially blocks the reuptake of norepinephrine with higher potency than for serotonin, two neurotransmitters thought to a play a central role in the symptoms of fibromyalgia. Savella is marketed by Forest and its licensor, Cypress Bioscience. Pierre Fabre, who originally developed and sells milnacipran outside the U.S., licensed the rights for North America to Cypress Bioscience. Please visit www.savella.com for safety and other information. To learn more about the Pierre Fabre group, visit www.pierre-fabre.com. (Waltham, Mass. - October 21, 2009) - Decision Resources, one of the world’s leading research and advisory firms focusing on pharmaceutical and healthcare issues, finds that although the majority of surveyed U.S. physicians prescribe Eli Lilly’s Cymbalta and Pfizer’s Lyrica for the treatment of fibromyalgia, neither agent has the majority of its uses in the first line. In the case of Cymbalta, surveyed rheumatologists report that 37 percent of their prescriptions for the drug are in the first line; in the case of Lyrica, 32 percent of prescriptions for the drug are in the first line. “None of the fibromyalgia agents we surveyed physicians about has the majority of its uses in the first line. Surveyed rheumatologists told us that similar percentages of their prescriptions for amitriptyline and cyclobenzaprine are in the first line compared with their prescriptions for Lyrica or Cymbalta, likely because amitriptyline and cyclobenzaprine have a long history of use in the treatment of fibromyalgia (albeit off-label) and are available as inexpensive generics,” stated Andrea Buurma, analyst at Decision Resources. The new Treatment Algorithms in Fibromyalgia report also finds that Cymbalta is the agent most likely to lose patient share to Forest Laboratories/Cypress Bioscience’s Savella by 2011. Savella was recently launched into the fibromyalgia drug market in April 2009. However, Cymbalta is currently the only agent that is approved for both fibromyalgia and depression and therefore it will continue to be surveyed physicians’ drug of choice for fibromyalgia patients with comorbid depression. By combining patient-level claims data with physician survey data, this report can be used to build patient-flow models and analyze the assumptions driving these models. Patient-level claims data show that more patients turning to Cymbalta as a second-line or later therapy are prescribed the drug after Lyrica than vice versa. These data suggest that Cymbalta is positioned behind Lyrica; a likely scenario given Cymbalta was approved for fibromyalgia one year following Lyrica’s approval. Decision Resources combines in-depth primary research with the most extensive claims-based longitudinal patient-level data from IMS Lifelink: Health Plans Claims database to provide exceptional insight into physicians' prescribing trends and the factors that drive therapy product choice, from diagnosis through multiple courses of treatment, for a specific disease. (91outcomes.blogspot.com - October 14, 2009) - Today's "State of VA" address delivered by U.S. Department of Veterans Affairs (VA) Secretary Eric "Ric" Shinseki included key comments for Gulf War veterans. The speech, presented as testimony before Congress, was wide ranging, pledging transparency, openness, and doing right by veterans. "A transformed VA will be a high-performing 21st century department, a different organization from the one that exists today. Beyond the next five years, we're looking for new ways of thinking and acting. "We are asking why, 40 years after Agent Orange was last used in Vietnam, this Secretary had to adjudicate claims for service-connected disabilities that have now been determined presumptive. "And why, 20 years after Desert Storm, we are still debating the debilitating effects of whatever causes Gulf War Illness. "If we do not stay attuned to the health needs of our returning veterans, 20 or 40 years from now, some future Secretary could be adjudicating presumptive disabilities from our ongoing conflicts. "We must do better, and we will." Shinseki's speech noted new presumptive conditions for Agent Orange, bringing the total to 15 according to a Stars and Stripes article. To date, VA has only named three conditions related to Gulf War illness as presumptive, including fibromyalgia (FMS), chronic fatigue syndrome (CFS/ME), and irritable bowel syndrome (IBS), all thought to be closely related to Gulf War Illness (GWI). Veterans diagnosed with both FMS and CFS/ME are compensated as if the two were a single condition. Gulf War veterans can also be compensated for an undiagnosed multi-symptom illness described by signs and symptoms noted by a physician. However, according to the most recent VA data, less than 4,000 Gulf War veterans have been successful in gaining service connection for undiagnosed illness. For all veterans, including those with service in the 1991 Gulf War, Amyotrophic Lateral Sclerosis (ALS), also known as Lou Gehrig's disease is a presumptive condition for any period of military service, as is Multiple Sclerosis (MS) if the disease manifests no later than seven years following military service. Despite studies showing elevated rates of brain and testicular cancer among Gulf war veterans and anecdotal reports of high rates of sleep apnea, chronic sinusitis, and respiratory and dermatological (skin) diseases and disorders, VA has not yet identified any of these as presumptive conditions for Gulf War veterans. The full text of Shinseki's speech and opening comments by House Veterans Affairs Committee Chair, Rep. Bob Filner (D-Calif.), are available from the U.S. House of Representatives Committee on Veterans Affairs. (Fort Wayne, Ind. - October 14, 2009) - Terrorists and hidden bombs aren’t the only threat facing American soldiers in Iraq. As Devon Haynie’s story Monday explained, environmental hazards also pose dangerous, even deadly, threats to armed forces. Hearings last week and in August drew attention to how National Guard members from Indiana, West Virginia and Oregon were exposed to hexavalent chromium, also known as chromium 6. It was in the chemicals Iraqis had placed into pipes that pump water into oil wells. The exposure came while the soldiers were guarding contract workers from KBR at the Qarmat Ali Water Treatment Plant in Basrah. Exposure to environmental hazards – some by accident, others not so accidental – is nothing new to the U.S. military. During World War II, soldiers were exposed to mustard gas. In Vietnam, it was the herbicide Agent Orange. 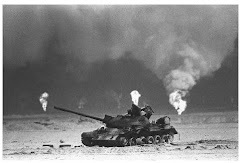 During the first Gulf War in 1991, tens of thousands of soldiers reported symptoms that may or may not be related to oil well fires, chemical weapons, anthrax vaccine and other environmental threats. Broadly called Gulf War Syndrome, its existence and causes are still debated by scientists, veterans groups and the government. Sadly, too many times the government has been too slow to respond to the real illnesses that sickened current and former soldiers, much less to eliminate the conditions that caused them. With chromium 6 exposure, the Department of Veterans Affairs seems to be at least providing information to soldiers. That may well be due to strong prodding from two Democratic U.S. senators from states whose National Guard members were exposed: Indiana’s Evan Bayh and West Virginia’s Jay Rockefeller, who have expressed outrage at the Department of Defense, saying its warnings to soldiers weren’t soon enough. “Once again, the Department of Defense seems to be ignoring our service members’ objective evidence and complaints, denying that something in our environment at Qarmat Ali has caused health problems,” Rockefeller said at an August meeting of the Senate Democratic Policy Committee. For his part, Bayh said the Defense Department’s inspector general will investigate, at his prodding, soldiers’ exposure to the chemical. He is also sponsoring legislation to create a government registry for soldiers exposed to environmental hazards during their service. 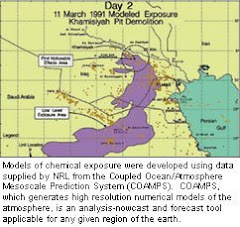 Americans and their officials know much more about toxic chemicals and environmental hazards today compared to the Vietnam era and even the first Gulf War, yet it took far too much time to protect soldiers from the orange dust that was obviously out of place at Qarmat Ali and to start addressing the health of those who were exposed to it. Officials must treat the Qarmat Ali exposure seriously. Indiana and Oregon soldiers should receive the same special monitoring that officials announced for West Virginia soldiers. According to an Army Times article, for the first time in 35 years, there will be no annual cost-of-living increase for military retirees or recipients of VA service-connected disability compensation, survivor, pension or social security payments because of the state of the economy and a drop in the measure to which the increase is indexed. However, President Obama is proposing a one-time, one-per-eligible-person $250 payment to social security, VA compensation, and military retirement recipients. The COLA would have been expected beginning December 1. It is unclear when the proposed $250 payments would be made. The details are in the Army Times full article. (Anchorage, Alaska - October 10, 2009) - Veterans of the 1990-91 war in Iraq continue to struggle with the government for proper attention to the mysterious illnesses known as "Gulf War syndrome." Years of research into those illnesses has linked many of them to the use of pesticides and a nerve-gas antidote used by U.S. forces during that war. That research, while not absolutely conclusive, gives the lie to what the government had been telling vets who suffer from brain damage, gastrointestinal diseases, fatigue, memory loss, chronic diarrhea, joint pain and persistent headaches. Post-traumatic stress, the feds said. A psychiatric condition. No way, says the lead researcher into Gulf War illness at the University of Texas Southwestern Medical Center. "Now we know it's a real disease caused by chemical exposure," epidemiologist Robert Haley told The Dallas Morning News. However, the Veterans Administration has canceled the Texas medical center's $75 million contract to study the disease and figure out effective treatment. The department said that Haley's research has violated many research protocols; critics have questioned his methodology. We can't judge Dr. Haley's contract performance. But his work, and other confirming research, makes clear that this work needs to continue. If not with Dr. Haley's group, then with someone else. Haley's conclusion, that Gulf War illness is "a real disease" and not a manifestation of stress, received powerful confirmation in 2008. That's when a congressionally sanctioned group of scientists, medical experts and military vets found Gulf War illness was fundamentally different from stress-related syndromes. The Research Advisory Committee on Gulf War Veterans Illnesses pulled together work of scientific and government investigations and found the evidence "leaves no question that Gulf War illness is a real condition." The Veterans Administration continues to resist that conclusion. At stake is what could be billions of dollars in veterans' disability benefits. Much more important, what's at stake is the health of up to one in four Gulf War vets who may be suffering from chemical exposures inflicted by their own forces with the best of intentions. The VA has a troubling track record in these matters. It took decades for the government to acknowledge the terrible effects of Agent Orange and other toxic defoliants used in Vietnam. And the official response to the Gulf War illness was first to blame it on stress. Then there was foot-dragging. No more delays -- and let's not lose whatever knowledge Dr. Haley and his colleagues have gained. The nation owes Gulf War vets its best effort to zero in on causes and cures. Anything less is betrayal. BOTTOM LINE: Evidence is strong that Gulf War illness is real. Let's stand by our vets and find out how to treat it. Editor's Note: the following editorial, also by the Anchorage Daily News, rings as true now as it did nearly a year ago when it was first published. (Anchorage, Alaska - November 18, 2008) - The official U.S. government response to claims of Gulf War illness has run from skepticism to outright denial. This week's report by the Research Advisory Committee on Gulf War Veterans' Illness should put an end to doubt. Contrary to government claims, debilitating symptoms are not likely from battlefield stress and other psychological factors. The council, made up of scientists and veterans and working on marching orders from Congress, lays the blame on exposure to pesticides and the PB (pyridostigmine bromide) pills taken to thwart the effects of nerve gas. With one in four of the 697,000 Gulf War vets reporting some level of the same symptoms, the lights should have gone on a long time ago in the departments of Defense and Veterans Affairs. One in four -- and yet these 172,000 veterans have had to deal with a government that simply didn't believe them. Enough. The council concludes that Gulf War illness is real. That's bitter confirmation to the veterans who have suffered from what the report calls a "complex of multiple concurrent symptoms" that "typically includes persistent memory and concentration problems, chronic headaches, widespread pain, gastrointestinal problems, and other chronic abnormalities." So now veterans have rigorous support for what they have contended all along -- it's not just in our heads, we're not making it up. We're sick. The report should help clear the way for an all-out effort to find treatment and a cure. If the government drags its feet now, it'll be doing a grim impression of the tobacco industry in the face of the Surgeon General's reports. The council, noting that research funds for Gulf War illness have declined in recent years, recommends a boost of $60 million in research toward effective treatment and cure. That's a good start. Clearly, Gulf War illness was inflicted on our troops unintentionally. The military was trying to protect them from weapons that then-Iraqi leader Saddam Hussein was known to possess and willing to use. Just as clearly, the United States owes Gulf War veterans whatever treatment of that illness is available now, along with serious research into finding a cure, or better treatment of the various symptoms. Thousands of our Gulf War vets are sick. Let's help them. BOTTOM LINE: Gulf War illness is real, and few vets who suffer the disease are getting better. It's past time for serious work on a cure. (91outcomes.blogspot.com - October 9, 2009) - The FY10 Department of Defense Appropriations Act has passed the U.S. Senate with the $12 million Sanders-Feingold-Byrd Gulf War Illness research funding--focused on treatments--intact. While there has not yet been an official statement from his office, Senator Bernie Sanders (D-Vermont) has been the powerhouse behind the effort in each of the last several years to fund the peer-reviewed Gulf War Illness research program under the Pentagon's Congressionally Directed Medical Research Program (CDMRP). By all accounts, DoD has done an exceptional job with the program, including funding numerous trials of promising treatments and helping develop a better understanding of the underlying pathophysiology of the disease -- all focused on improving the health and lives of the roughly 200,000 Gulf War veterans who remain ill following their 1991 Persian Gulf service. Senator Russ Feingold (D-Wisconsin) and his staff were likewise extremely busy helping to pass the bill and similarly did not issue a statement about his leading support for the funding. However, Feingold has been one of a handful of Senators Gulf War veterans have been able to count among their most staunch supporters, including initiating numerous Government Accountability Office (GAO) investigations into Gulf War veterans' exposures, illnesses, and treatments. The success of Senator Robert Byrd (D-West Virginia), another of the small handful of reliable Gulf War veteran supporters and the third in the trio sponsoring in the amendment, was touted this week in a Keyser, West Virginia Mineral Daily News-Tribune article, noting $113 million in defense projects that include the CDMRP funding. “Recent research has demonstrated that an alarming number of Gulf War veterans continue to suffer serious ailments as a result of exposure to toxic materials during the Persian Gulf War,” said Byrd, who has supported this effort for more than a decade. (Dallas, Texas - October 8, 2009) - The U.S. Department of Veterans Affairs' cancellation of a $75 million contract with University of Texas Southwestern Medical Center could mean the end to the Dallas university's research into treatments and cures for Gulf War illnesses. UT Southwestern epidemiologist Dr. Robert Haley told The Dallas Morning News that he and a team of 200 colleagues from eight universities are five years ahead of anyone else engaged in the painstaking research into why 200,000 healthy soldiers went to the Persian Gulf in 1990-91 and returned to civilian lives of chronic illness. "Without the VA funding, discovery of a treatment is very low," Haley said. The VA declined to comment on Haley's research. Instead, a spokesperson referred The News to an Aug. 26 news release announcing cancellation of the contract for "persistent noncompliance and numerous performance deficiencies." Haley has been studying a small group of sick Gulf War veterans for 15 years. His findings show a range of persistent symptoms — chronic fatigue, chronic diarrhea, memory loss, joint pain, loss of muscle strength and persistent headaches — caused by battlefield exposure to pesticides and other chemicals. The next step, supported by $15 million a year from the VA, was to be a large study of 2,000 Gulf War veterans. The results of that study would show whether chemical exposures harmed a significant number of veterans, Haley said. "We are looking at unplowed ground," he said. "Nobody has ever looked at pesticide exposure and brain damage and chronic symptoms. People didn't believe this stuff was real, even in the civilian world, and it's never been looked at." An estimated 700,000 veterans served in the Persian Gulf in 1990-91. Veterans groups had hoped Haley's work might break the gridlock preventing thousands of them from receiving disability benefits and medical care based on exposure to pesticides, nerve gas, oilfield fires or military-issued antidotes to nerve gas. Haley is convinced that many veterans suffered brain damage from exposure to organophosphates (sprayed pesticides or insect repellants worn like flea collars) and pyridostigmine bromide (nerve gas antidote). He rejects the theory that Gulf War illnesses stem from post-traumatic stress — a psychiatric condition. "Originally, this (Gulf War illness) was signed, sealed and delivered as stress," Haley said. "Now, we know it's a real disease caused by chemical exposure. It's now the conventional wisdom." But the VA, which has the power to grant or withhold disability payments, has not embraced that conclusion. Consequently, billions of dollars in monthly veterans' benefits could hang in the balance. The U.S. House committee on veteran affairs held two hearings on the status of Gulf War illness research in 2009. Testimony showed that federal agencies spent $350 million on 345 projects related to health care needs of Gulf War veterans between 1992 and 2007. But critics say those projects didn't focus on identifying causes and treatment of Gulf War illnesses. Dr. Lea Steele, a leading expert on Gulf War illnesses at Kansas State University, testified that much of the research focused on stress and psychiatric conditions and had "little or no relevance to the health of Gulf War veterans." By contrast, Haley's supporters say his slow, painstaking research on veteran brain diseases is precisely targeted at causes and treatments. Legally, the VA must seek the opinion of a prestigious group of medical researchers on the Institute of Medicine (IOM) Committee on Gulf War and Health. The committee has reported that it cannot conclusively link toxic exposures to Gulf War illnesses. On the other side of the ledger, another panel of prestigious scientists, the VA's Research Advisory Committee on Gulf War Veterans' Illnesses, reported in October 2008 that "a unique neurological illness has caused significant morbidity (25 percent) among Gulf War veterans, and this is 'causally' (the highest possible level of association) linked to nerve agent antidote and pesticides used in the 1991 Gulf War." The VA announcement ending the contract came after repeated disputes between UT Southwestern and government contract managers. A scathing report from the VA inspector general in July accused Haley of violating all sorts of VA contract protocols. UT Southwestern administrators admitted some mistakes in contract administration and said they tried to correct them, but the VA canceled the contract anyway. Privately, UT supporters said some longtime VA administrators resent the federal budget earmark that dedicated research funds to UT Southwestern — legislation that prevented the VA from controlling where $75 million was going to be spent on research. In the Sept. 11 edition of Science magazine, writer Eliot Marshall quoted British psychiatrist Simon Wessely, a noted health researcher, as saying that Haley's work was worthwhile but that it's time to recognize that "we're not going to find the smoking gun that explains the cause of Gulf War illness." Other critics allege that Haley and his team have spent too much time studying a group of 43 Navy Seabees, subjecting them to sophisticated brain imaging tests and genetic research. Haley chose the Seabees because they traveled all over the Persian Gulf, building bridges and runways in advance of troop movements. If any group experienced all the wartime conditions in the Persian Gulf, it was the Seabees, he theorized. Haley and his team believe their published research proves conclusively that the Seabee illnesses stem from toxic chemical exposures during the war. But his critics contend that research on such a small group proves nothing about the overall health of 700,000 men and women who served during the war. Haley said the VA pulled the plug on his funding just as he was designing a study of 2,000 randomly selected Gulf War veterans — 1,000 sick and 1,000 healthy. "The VA funding is the final step, the rifle shot, to prove this," Haley said. "Is what we found with the Seabees true of the whole of Gulf War veterans? And that is the final definitive question."